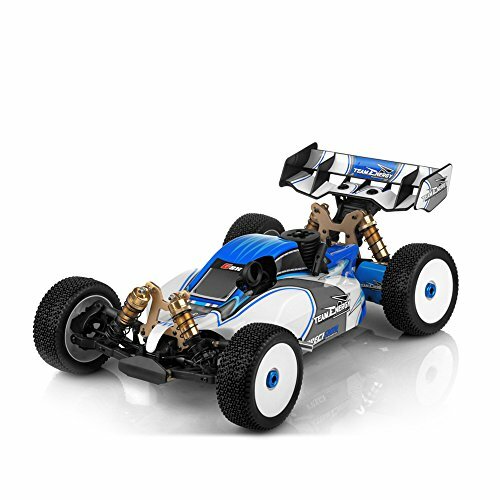 Nitro RC cars are best for kids who are around 13 years and over, however, finding the right one can be tricky. You need to be sure that you’ve got the right fuel for your specific model and that your child has had enough experience to handle them. 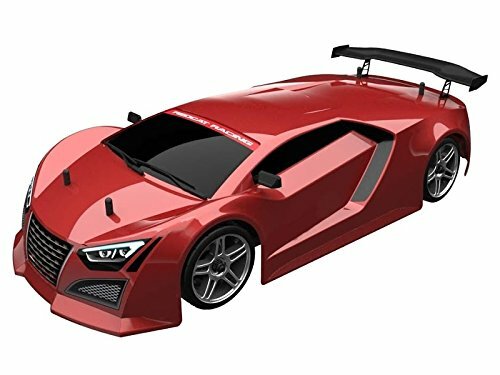 If you were having a tough time trying to find the best nitro remote control cars for your little one, you’re in the right place. We’ve researched what the top options have to offer so that you don’t have to. All you need to do is have a read through the different options below and select that one that you think is best. However, if you still weren’t feeling 100% confident on which one to select, don’t worry! There’s a great buyers guide section available at the end that provides you with even more information. 22 Are Nitro RC Cars Fast? With a 30cc gas powered 2-stroke engine, kids are able to have an absolute blast driving this Redcat Truck around outdoors for hours of fun. It has a 500 cc fuel tank capacity, which provides your little one with plenty of time before refueling. It has an exhaust that has already been tuned to save you the hassle. The gears have been made using high-quality steel materials as well. These are super durable to ensure the truck lasts your child for a long time. We also liked how the remote control functions on a 2.4Ghz frequency. This is effective at minimizing any interference to make sure kids are able to have total control over their truck. This is an awesome truck that lets kids take it off-road for outdoor fun for a long time as a result of the fuel capacity and durable design. Redcat’s Racing Rampage MT V3 Gas Truck has an even larger fuel capacity than the previous option. It comes with a 700cc gas tank, which lets kids ride the truck around for even longer. It’s powered by a 32cc gas 2-stroke engine which allows children to take it up to high speeds and have a blast. We were also impressed with the 1/5 scale steering servos that are available. This is because they provide your little one with a lot of control which lets them perform precise maneuvers easily. Parents have also been glad to find that it comes in a ready to run state. Children are able to drive this gas RC truck around with a lot of precision for a long time, while also taking it to high speeds. With an adjustable suspension system and shocks that have been filled with oil, you can be sure that this Monster Truck performs incredibly well on off-road surfaces. The suspension and shocks provide it with a lot of stability for smooth driving. It has been fitted with a 3.5cc nitro engine which comes with a pull-start feature. There’s also a 4-wheel drive system available that provides your little one with even more control while going on rougher terrain. We liked how the remote that has been included works on a 2.4Ghz frequency. It works effectively to minimize any interference to allow for precise control at all times. If you’re looking for something that your child can take on harsh off-road conditions, the suspension, shocks, and 4-wheel drive available with this one make it a fantastic option. 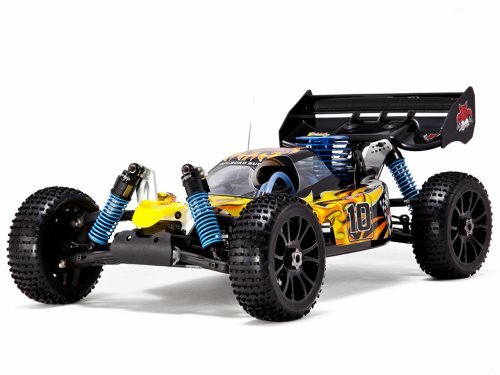 Redcat’s Racing Vortex SS Desert Nitro Truck comes with a 3.0cc nitro engine that works with a pull-start feature. We liked how it comes with a transmission that allows you to switch between 2 speeds as well. Furthermore, it has a fuel tank capacity of 75cc which is plenty to allow kids to have fun with it outdoors for a good period of time before it needs refueling. The remote also works on a 2.4Ghz frequency. This is effective at reducing any interference for precise control. It also means that multiple RC cars can be driven around at the same time, which is a great opportunity for your little one to play with others and improve their social skills. Kids have been liking how they’re able to use the 2 different speed settings that are available to make the RC truck more suitable for the surface they’re driving it on. The 2.4Ghz remote that comes with this Rampage Chimera SR mean that kids are able to control their toy with minimal interference. This also means multiple nitro RC trucks can be used at the same time. So, kids have a great opportunity to play in small groups together and improve their social skills. They’ve fitted a 30cc 2-stroke engine that’s filled with Nitro gas and provides children with plenty of driving speed to have fun with. We were also impressed with how there is a 500 cc fuel tank capacity available. Therefore, when you fill this one up, your child is able to drive it around outdoors for a long time before it needs refueling. Due to the 500 cc fuel tank capacity, your little on is able to have a blast driving this truck around outdoors for a while. 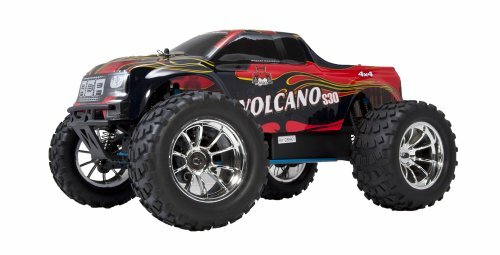 The Volcano S30 Nitro Truck comes with an independent suspension system which works effectively to provide it with plenty of stability while going across rough surfaces. There are also 8 capped oil filled coils. These go over the shocks and ensure that the truck has even more support. Therefore, it’s an excellent option for kids to take off-road and still have total control. We also liked how there are disc brakes. Children are able to bring the truck to a safe stop reliably as a result of these brakes. There’s also a 2.4Ghz radio frequency that means your little one has complete control over the truck at all times. This is an awesome option if you’re after something that your kids can take on rough surfaces and still have total control. The suspension, disc brakes, and shocks make this possible. This toy truck is powered by a 4.57cc nitro engine, which means that you need to fill it with nitro fuel. It starts up easily as a result of the pull-start feature which people have been glad to find. We liked how there is a 4-wheel drive system available too. This allows your kids to take the truck onto off-road conditions and still be able to have complete control over the toy. They can also perform more precise maneuvers and have a blast outdoors. In addition to this, the remote works on a 2.4Ghz frequency. This works effectively to reduce any interference. It also means multiple cars can be used at the same time which is a great opportunity for your child’s social skills to develop in group play. Since this truck has a fantastic 4-wheel drive system available, kids are able to take it off-road and have total control. 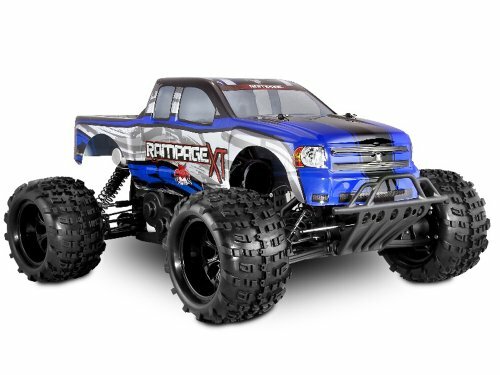 The Redcat Racing Rampage MT PRO V3 Truck has been powered by a 32cc engine which provides children with a lot of power to have a blast with. We were also impressed with the 700 cc fuel tank capacity as it doesn’t requite refueling too often. In addition to this, there are strong aluminum hop-ups which provide the truck with durability. A dual steering servo transmission is available too that means kids have a lot of control over the truck. Not to mention, the remote works on a 2.4Ghz frequency, which minimizes interference. It also means multiple cars can be raced simultaneously, which is excellent for encouraging your child to play with others and improve their social skills. Kids are provided with a lot of control over this truck due to the responsive remore and dual steering servo transmission. 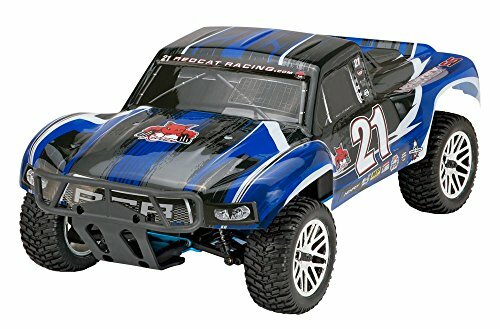 This Exceed RC Truck has an impressive fuel tank capacity that allows kids to race it around outdoors for a long time before it requires refueling. We liked how there’s a fuel line filter built-in too. 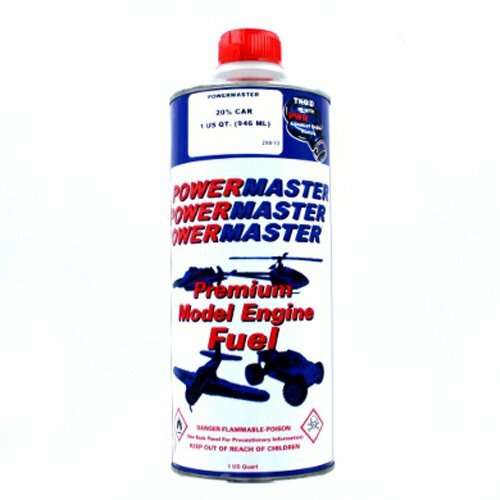 It works effectively to prevent impurities from getting in the fuel, which boosts its performance. In addition to this, there are metal disc brakes, as well as sport brake pads available. These are awesome for providing kids with the ability to bring the truck to a smooth stop every time. We also liked how the shocks have been filled with oil and how there are long suspension arms as they provide the truck with stability for smooth riding on rough surfaces. The high-quality brakes and suspension mean that this truck performs incredibly well on tricky terrain to ensure that your little one always has total control over it. 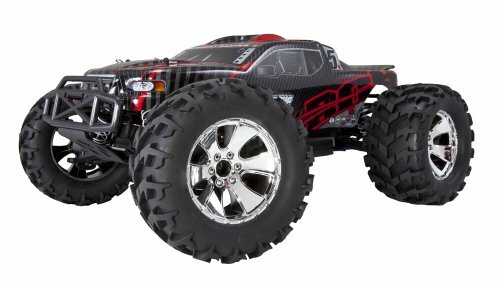 With a super lightweight 2.5 mm aluminum chassis available, you can be sure that this Exceed RC Infinitive Truck has a lot of durability. So, your child will be able to play with it for years. We also liked how there are front and rear skid plate available. These provide protection to the truck if it ever comes into contact with other objects. In addition to this, there are 8 long strong shocks that have been filled with oil and firmly tuned springs. As a result, the truck has a lot of stability and can be taken across rough surfaces smoothly. So, your little on is always able to have precise control over this one. We were impressed to discover how durable this truck is and it allows kids to take it across rough terrain for years to come. 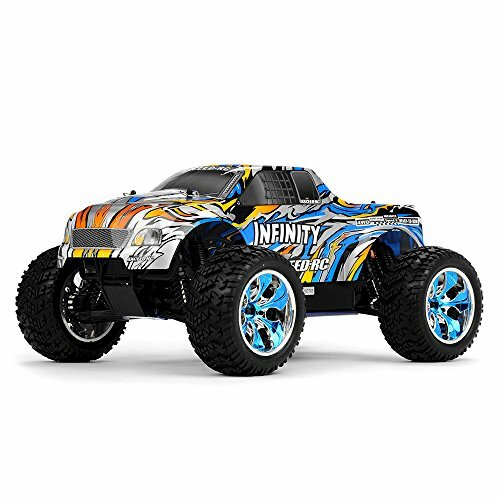 This Team Energy G8X Nitro Gas Powered Vehicle comes with a fantastic 4-wheel drive system. It works effectively to provide the truck with plenty of control while going across rougher terrain. Furthermore, the 2.4Ghz radio system means that your little one can use the remote to control the truck without any interference for precise control. This also allows multiple cars to be driven at the same time which can be a great social experience for kids. In addition to this, the drive train that’s available is incredibly durable and doesn’t require any maintenance. Not to mention, the steel spur and pinion gear are durable as well. Kids have been having a blast with this RC toy and they’re able to drive it around for years of fun. With a 30cc gas engine, your little one is provided with a lot of power which lets them have a blast taking it off-road. Furthermore, there’s a 500 cc fuel tank that means your child can drive it around for a long time before it needs refueling. We were also impressed with how the exhaust has already been tuned as it saves you the hassle. Furthermore, there are steel gears which are incredibly durable. Furthermore, there’s a 2.4 Ghz remote available. This prevents any interference and allows for precise control. Moreover, children are able to race multiple cars at the same time which allows for fun group play. As a result, your little one’s social skills are able to improve. Due to the 2.4Ghz remote that’s available, kids are able to control the toy with precision and play with other kids at the same time to improve their social skills. The Losi Desert Buggy XL comes with a 4-wheel drive feature which provides your child with a lot of control. As a result, they can take it across tricky terrain and still be able to perform precise maneuvers. We liked how they’ve also fitted a K&N air filter as it prevents any impurities from getting in which helps the engine to perform better. 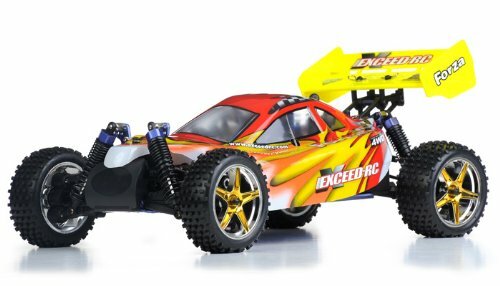 A DBXL chassis is also available which provides the buggy with durability. Kids have also been liking the 23cc engine as it provides them with a lot of power to have a blast with. It’s also super reliable and easy for children to use. The air filtration system ensures that the engine is able to run smoothly and perform well. With the 4-wheel drive, kids can also control this buggy on rough terrain with total control. The 2.76cc nitro engine that’s available with this one is powerful to allow kids to have fun and it’s also easy to use due to the pull-start feature. It has a fuel tank capacity of 75 cc, which is enough to let your kids drive it around for a while before it needs refueling. We also liked how they have used 2.4Ghz technology for the remote control. This works effectively to minimize any interference to allow your child to have complete control over the car. Furthermore, it means that multiple cars can be raced around at the same time. This provides kids with a great opportunity to play in groups with others and improve their social skills. The 2.4Ghz frequency enables kids to play in small groups with other kids and improve their social skills while also being able to have total control over the car due to reduced interference. The pull-start engine that’s available with this one makes it easier for kids to start up on their own. We also liked how the pipe that has been fitted is already tuned to save you the hassle. An air filter is included too which purifies the air and ensures that the engine is able to run to its full potential. This is also effective for keeping the engine more durable to last you child for longer. A 2-channel pistol radio system ensures that kids are able to control their toy car with minimal interference for precise control. Parents have also been glad to find that the chassis has already been assembled. We recommend this one for beginners because of how it comes with an easy pull-start feature. Moreover, the 2-channel radio system minimized interference for precise control. 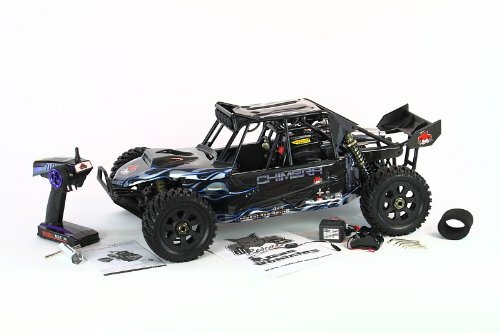 This Exceed RC Forza Nitro RC Off-Road Buggy comes in a ready to run state which means there’s no assembly required. We also liked how there’s a great radio system available that reduces any interference. Furthermore, they have fitted a aluminum alloy chassis that’s incredibly lightweight and provides the buggy with a lot of durability. Moreover, it allows the buggy to perform better for a more fun experience. The engine that has been fitted is of a high-quality which ensures that it can last your child for a long time to come. Furthermore, they can use it for both off-road and on-road driving. The aluminum chassis is lightweight and provides the buggy with a lot of durability to ensure that your child can play with it for years to come. With a 30.5cc gas 2-stroke engine, you can be sure that your little one will be provided with plenty of power to have a blast with this one. We liked how it comes in a ready to run state to ensure your child can start playing with it right away. The remote that’s available comes with 4 channels. Therefore, your kids can always be sure to select one that doesn’t have any interference. This is a great feature that allows them to have total control over the car toy. Due to the 4 channels that are available with the remote, your child is able to have precise control over the toy car without having to deal with any interference. That covers what some of the best nitro RC and gas cars have to offer. You can now start to narrow down your search to find the one that you think your kids will enjoy the most. However, you will have noticed that we’ve included both nitro and gas powered RC trucks and cars in this review. So, what’s the difference between them? The nitro RC engines, or as they’re commonly referred to as, glow engines, involve a plug that ignites and powers the car toy. When it comes to the gas powered RC cars, they include a spark plug which powers it. However, both of these engines use different kinds of fuel. If you’re looking to use nitro gas powered RC cars, you’ll need to use nitro fuel to ensure that it can be powered properly. But if you’re looking to get regular gas powered remote control cars, you will be able to use normal gas. 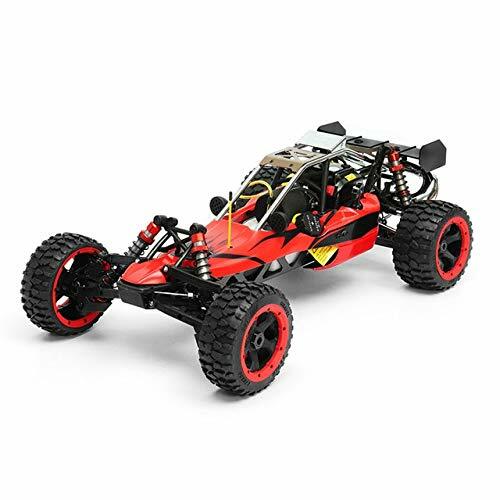 After reading through the review above, you will have seen that there are quite a few different kinds of nitro gas RC cars for sale. If you were feeling a little confused about what the differences between them are, the section below is for you. Drift cars can be super fun options for children who have had a little more experience with these kinds of toys. They’re able to use them to perform some pretty impressive drifts and have a blast in the process. 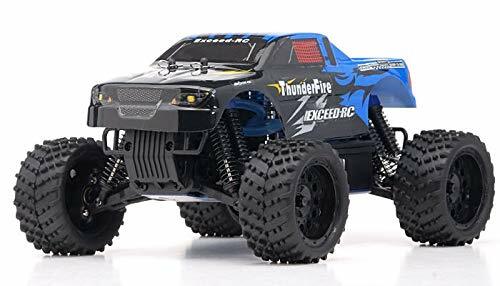 If you’re looking for something that’s powerful that can also handle rough terrain, a nitro RC 4×4 truck would be a fantastic option. The 4-wheels drive feature works effectively to ensure that your little on is able to have precise control over the vehicle. Buggy’s are another excellent choice that have a fun design that children can use to take on off-road conditions to have fun with. They tend to be a little more agile which lets kids try out some exciting maneuvers. The gas powered racing cars that are available are super fast and allow children to race it around outdoors at high speeds. Kids have also been liking how these RC vehicles are designed. 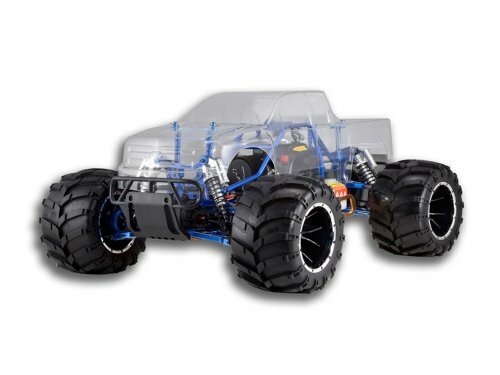 Since you’ve been looking at gas powered RC cars and trucks, you may also be interested in what other nitro gas RC toys are available. To learn a little more, take a look below! The nitro gas RC boats that are available are a lot of fun for kids to take out on the water. They’re able to float on top and the components on the inside are protected by waterproof materials. Children have an absolute blast when it comes to nitro gas RC planes. They are powerful options that enable kids to take to the skies and fly a mini pretend plane and watch how it soars through the air. When it comes to nitro gas RC helicopters, similarly to the planes, they are pretty powerful. Therefore, they may be best for children who who have had more experience with these kinds of toys in the past. There is a number of top brands available that manufacture the RC trucks and cars mentioned in this review. If you wanted to learn a little more about these companies, have a quick read through the section below. 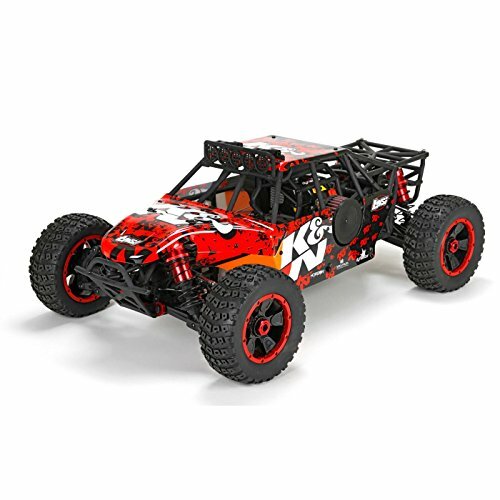 Traxxas is an awesome company that manufactures ready to race radio controlled vehicle toys. The ready to race state means that you can take them out of the box and start using them right away. Their range varies from trucks and cars, to helicopters and speedboats. Therefore, you can be sure to find something that your child loves. 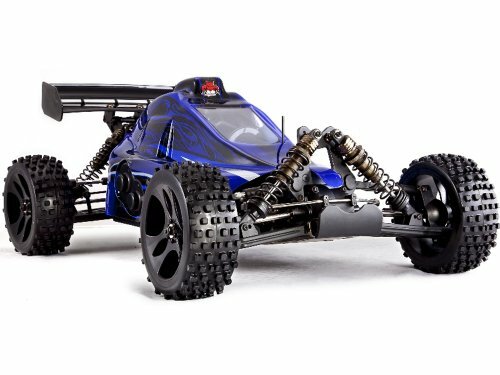 Redcat has been around since 2005 and has been making cheap nitro rc cars, and fast radio controlled vehicles that vary from being powered by nitro, gas, and electricity. Their vehicles come ready to run which means there’s no hassle of assembly. Their vehicle sizes also vary from 1/24 scale-1/5 scale, which provides you wit plenty of options to choose from. NitroRCX has been in the RC business since 2005 and has been making high-quality RC vehicles ever since. Their brand has gained recognition around the world because they make RC toys that are great for beginners and those who are more advanced. 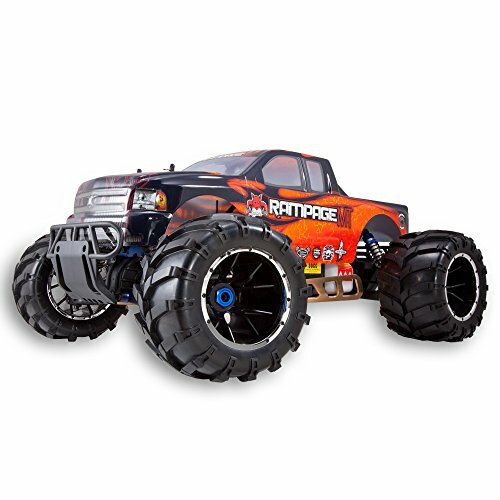 You can find trucks, monster trucks, buggies, cars, and more from this brand. Are Nitro RC Cars Fast? One of the main features that makes nitro RC vehicles stand out is that they run on an engine that uses methanol fuel which is what provides it with so much more power. Due to how much power the fuel and engine are able to produce, nitro RC cars tend to be faster than electric ones and some of the fastest RC cars available on the market today. Therefore, they’re recommended for kids who have had more experience. The main difference between the nitro gas and standard gas RC cars is that they use different fuel but the result is similar. Both have loud engines that get kids excited and both allow for higher speeds than electric ones. That’s why we recommend these ones for children who are 14 years and over as they’ve had more time to get used to how these gas powered RC cars feel. If you’re looking to get something for your child who is a little younger, the electric options are best. The are powered by batteries that can be recharged via a cable and allow kids to take them up to maximum speeds of around 20 mph. This is plenty to allow them to have fun while also being able to have control. 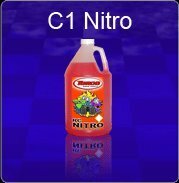 One of the most key components to ensuring that your child’s remote control nitro cars run smoothly is the fuel. If you weren’t too sure which kind of fuel to get, use the options below! 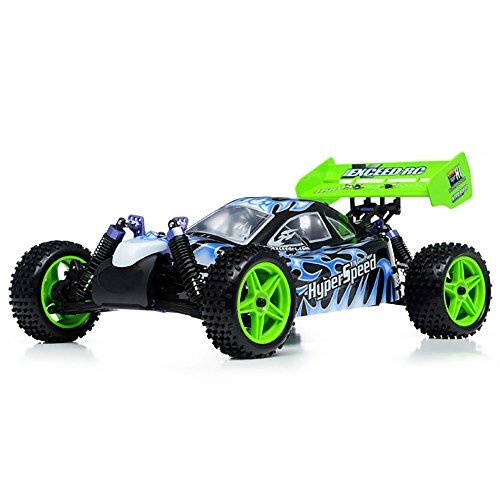 As discussed before gasoline powered rc cars are different from nitro fuel ones but provide a similar experience of a high speed remote control car that is for older children. For some top options see the quick links below! So, that brings our review of the top nitro gas RC cars that are currently available. You can use this review to pick out the one that you think your little one would enjoy playing with the most. Consider all of the main features, pros, cons, age recommendation, and what makes each one stand out. Furthermore, our buyers guide section includes additional information that can be very useful. Hopefully, we have provided you with all of the details that you need to make a final decision and feel great about it!